Congress is giving itself a month to come up with legislation restructuring the nation's intelligence apparatus, but Republican leaders acknowledge the goal may fall victim to turf disputes and lawmakers' focus on getting themselves re-elected Nov. 2. While a group of members in both parties have united behind legislation to enact the Sept. 11 commission's recommendations unaltered, House Speaker Dennis Hastert and key Senate committee chairmen are warning against a rush to judgment. "Four or five groups of ideas (are) out there, and I think we need to take a very serious study on all those ideas," said Hastert, R-Ill., at the end of August. Sen. John Warner, R-Va., who as Armed Services Committee chairman oversees more than 80 percent of an intelligence budget estimated at $40 billion a year, called for "great caution" to avoid "turbulence or disruption in the intelligence system that now — I think — serves this nation reasonably well." Senate Intelligence Committee Chairman Pat Roberts, R-Kan., has a different perspective. Citing a series of intelligence failures, he unveiled a bill last month that would break up the CIA and rearrange the Pentagon's spy agencies under a single national intelligence director. Yet to be heard from are senior members of the appropriations committees, including Senate bulls like Republican Chairman Ted Stevens of Alaska and Robert C. Byrd of West Virginia, the top Democrat on the panel. 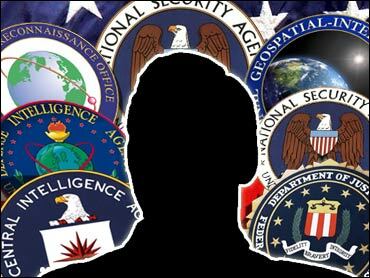 The September 11 commission recommended that the purse strings for intelligence agencies be taken away from them and given to a new committee that would oversee both Pentagon and civilian spy programs, and divvy up the money for them. Senate Majority Leader Bill Frist, R-Tenn., originally tasked the Senate Governmental Affairs Committee to get a bill completed by Sept. 30. The panel held several hearings in August and has another planned Wednesday. When squabbling arose, Frist and Minority Leader Tom Daschle, D-S.D., quickly named a 20-member bipartisan working group made up of Warner, Roberts, Stevens, Byrd and other senior lawmakers who now have a share of intelligence oversight. "It's not going to be a knee-jerk reaction," Frist said. "This is too big. We'll do it in a very careful and thoughtful and aggressive way." With Congress scheduled to break again Oct. 8 until after the election, pressure will be on for leaders to call a lame-duck session that could run until Christmas to complete the intelligence overhaul and a corporate tax bill. Two weeks ago, President Bush addressed some of the Sept. 11 commission's recommendations. He signed executive orders strengthening the CIA director's control over intelligence agencies and creating a national counterterrorism center. The president had previously endorsed both a national director and a terrorism center, but had not outlined the powers of each office — except to say that, contrary to the Sept. 11 commission's suggestion, the director would not be part of his executive office. A White House official described Mr. Bush's actions as a step toward creating the position of a national intelligence director, a job separate from the director of the CIA. The official stopped short of endorsing full budget authority for the proposed position, saying that must be worked on with Congress, which has the power to decide whether to create the new position and what authority the person who fills the job will carry. Democratic presidential candidate John Kerry has called for adopting all the commission's recommendations and doing it immediately. Democrats maintain the issues are not new or unfamiliar, saying a joint House-Senate intelligence inquiry came out with much the same conclusions two years ago. "There is no higher priority for the Congress in September than considering all 41 recommendations of the 9/11 commission," said Daschle. However, other priorities rank just as high for many lawmakers. Among them are extending three of Mr. Bush's most popular middle-class tax cuts and enacting a jobs-producing highway bill before the election. Besides the Sept. 11 report, U.S. spy agencies were also faulted in a Senate Intelligence Committee report on mistakes in pre-war assessments of Iraq's weapons. That report found that much of the case for war was based on false or flawed intelligence. CIA director George Tenet resigned around the time of the report's release, citing personal reasons.